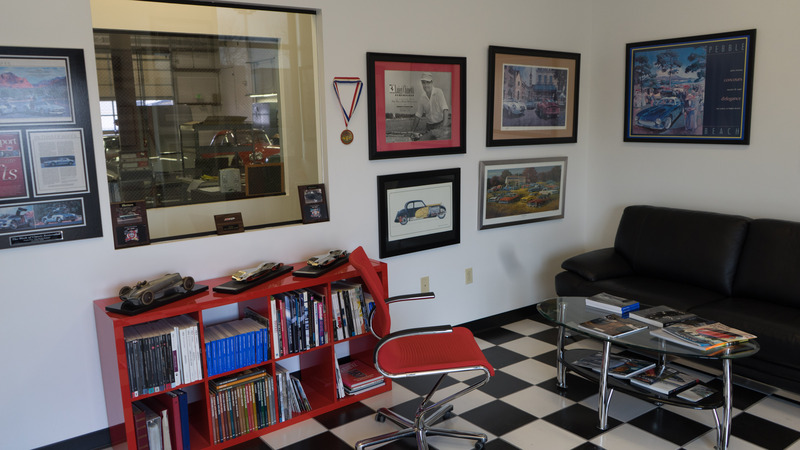 From our waiting room, you'll be lead out to the main area of the shop. Here, you'll find our General Manager David Fitzgerald. 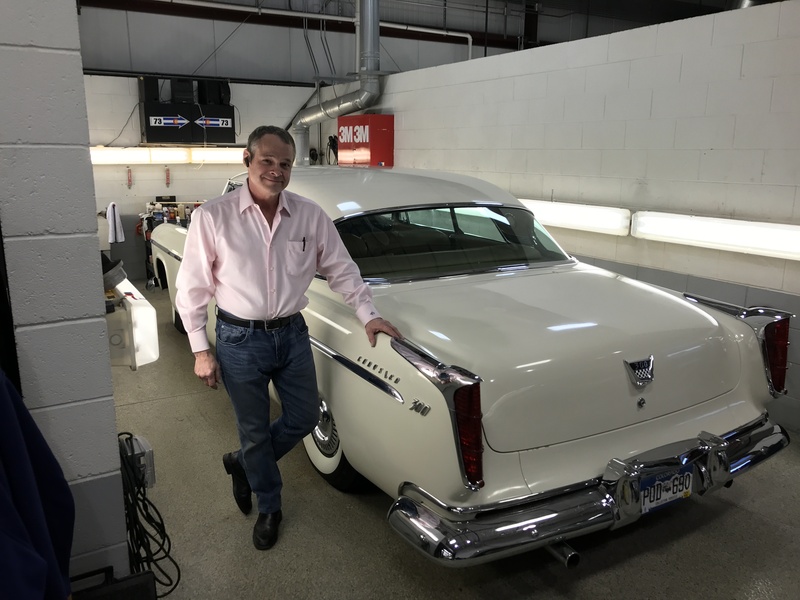 Decades of experience and a true love for classic cars gives him the ability to put person and car together like nobody else. Here we see the shop entry, and the main shop area. Look closely, and you'll see Corvettes, Mercedes, a Fiat Dino, Ferrari 250GT and more. 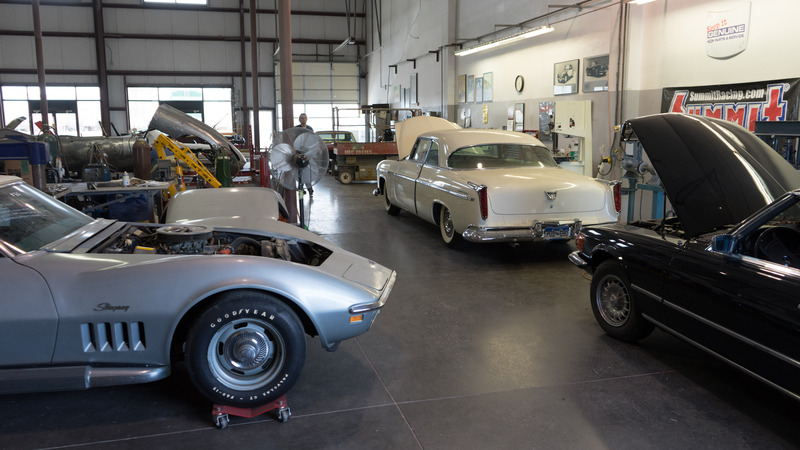 Our shop does complete restorations from top to bottom, as well as specific needs - like paint restoration, mechanical, upholstery and a lot more. This is our mechanical bay - currently with a 1967 Chevy Corvette with an extremely rare engine combination, getting a once-over. 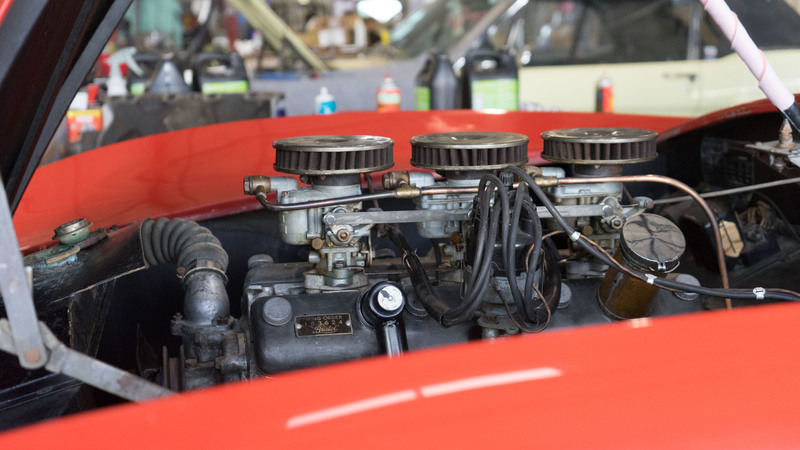 Next bay over is the detail bay - with a resident 1978 Trans Am - not our usual cup of tea, but this one is an incredible 19K-mile survivor that's getting its paint restored and ceramic coated. Next up is the paint department. 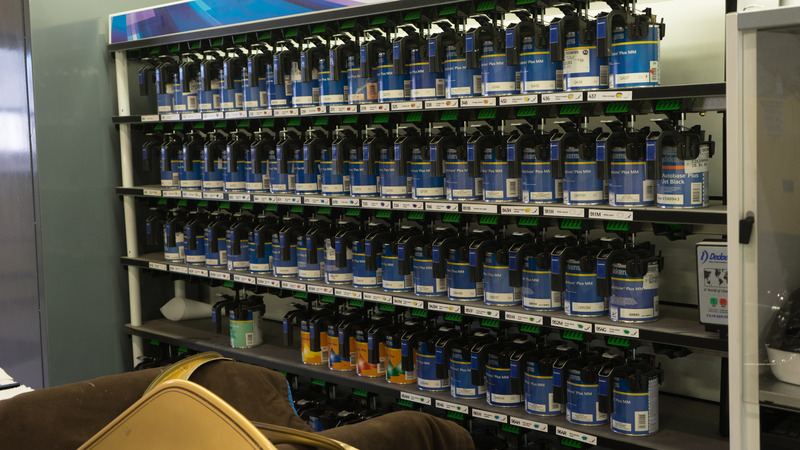 Our Sikkens paint system lets us match and formulate the perfect paint for any project. 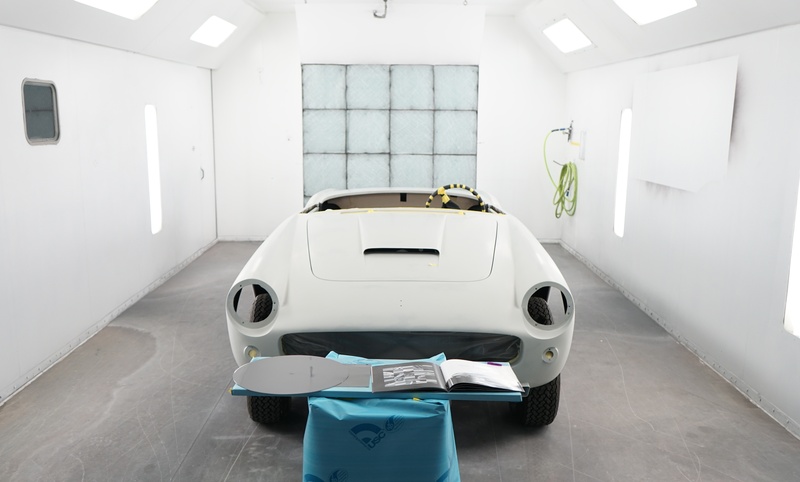 Combined with our high-tech paint booth and highly-skilled painters, we're able to craft some of the best, award-winning paint jobs around. There are two sides to the shop. You've just seen the mechanical, detail and paint side. Now we'll have a look at where we perform washing, metalwork and disassembly. 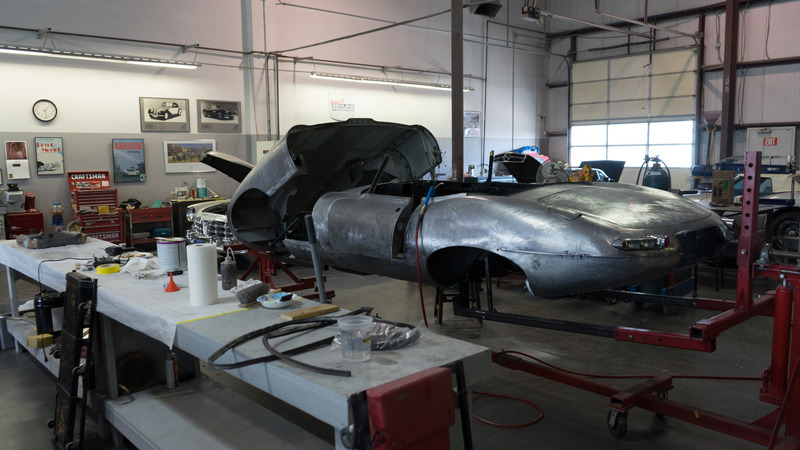 Above you can see a Jaguar E-type that we are perfecting with metalwork, before we enter the paint phase. Farland Classic Restoration hires only the best craftsmen around. And they stay with us for years. 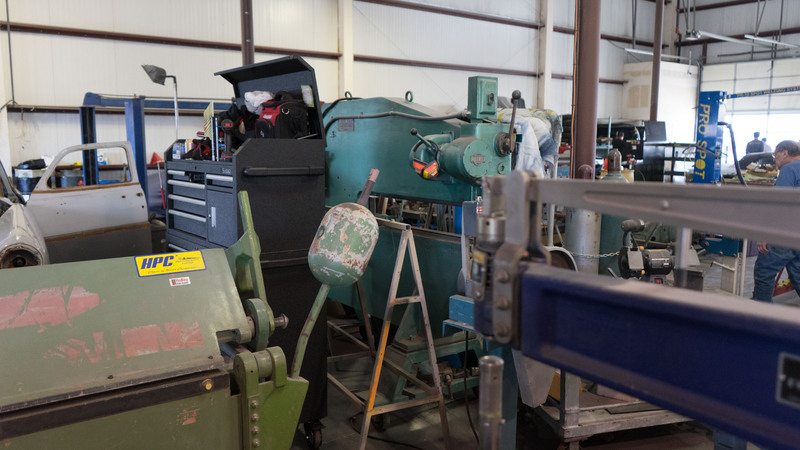 Our shop is full of classical metal tools, as well as the latest technologies in the restoration business. We also perform mechanical work on this side. 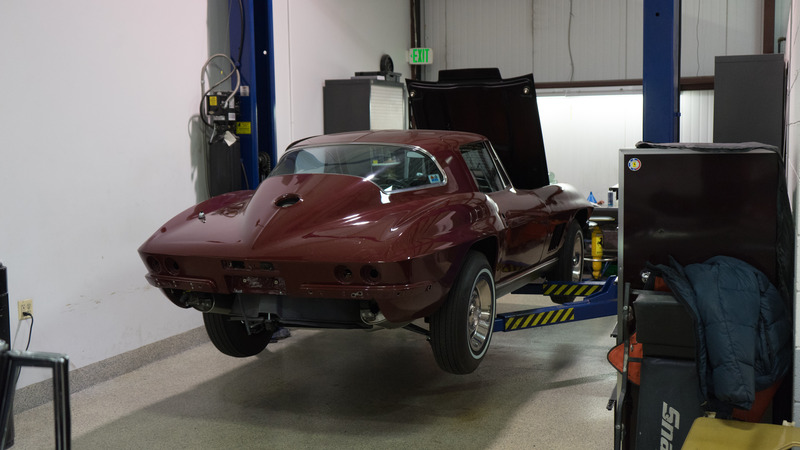 We're working on everything from a rare Arnolt-Bristol to an L71 Corvette. Well, that's it for our quick photo tour of the shop. As always, you can always subscribe to our YouTube channel for lots of videos on projects and cars for sale. 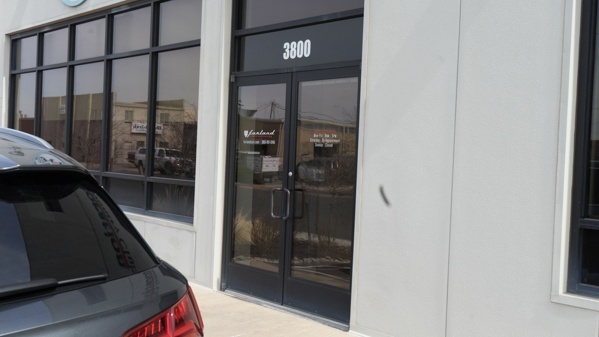 And, feel free to reach out to us at 303-761-1245 or email info@farlandcars.com if you'd like to come by.